If someone says something that offends you or says something that isn't true about you, as long as you, in your heart, know it isn't true, don't worry about it. I love it. So simple. She is seriously the cutest thing. - Elder Jeffrey R. Holland. Well, that was last week but unfortunately he didn't come to the VC. He went to Liberty Jail with his family. EVERYONE go look up the "Lessons Learned at Liberty Jail" talk by him. Life. Changing. - John Bytheway! He came in yesterday with his tour group. SO COOL! His son was in my tour group! We got invited to this Samoan family reunion on Friday for dinner. It was the coolest. So there are about 3 Fuimaono families in each ears out here. And all of them are related plus every other Samoan out here. And they are the best. Story is that one of their ancestors joined the church back in Samoa and read in Doctrine and Covenants about Independence being Zion and moved here with his family generations ago. Anyways, they do a reunion every year for their Fam here, California, and Hawaii, and this year was missouri's year to host. It was so fun! They rented out the stake center because there were like 400 people here. It was filled with good Polynesian food, dancing, and just fun. Reminded me so much of Tonga. I miss the Pacific Islands but these people make me so happy. They know the gospel and they love family. Perfection. We also learned how to garden a bit with another member. Haha so much randomness this week. So ward council at 1. Church at 2, in which I had to give a talk in. While we were walking into the chapel, we were reminded that we are giving a short talk in primary. And... At the same time as that talk, we have to make an announcement in young women's for the mutual activity we are doing (I'll talk more about that in a bit. I'm so excited for it) anyways, gave the talk on D&C 135:3 and the Book of Mormon and how important and necessary the doctrine inside that book is for us. Then, we head over to primary and the teacher gets up and says that we are teaching the whole primary for 20 minutes.. 😳 ha ha. Good thing we prepared. Haha. Anyways after running around the chapel looking for the elders and trying to keep these two children in class, we made it to young women's and found out the elders were teaching primary! Phew. Haha. Craziness. But it was so great. We got about 20 minutes of peace in Relief Society and it was great. I love you all so much. Remember that your Heavenly Father cares so much about you. I am so grateful to have this gospel on my life. It has changed me. I cant imagine living this life without the knowledge of eternal families. I am so grateful for temples and the opportunity we have to be sealed with our families there forever. What a blessing. The church is true. I'm practically a Missourian now! Here's to another great week in the mission! Have I mentioned before that Heavenly Father answers prayers? No? Oh, cause He totally does. Haha, that is seriously the story of my life and every missionary's life. So if you remember one thing about my mission, remember that I know that God answers our prayers. In such a personal way that really shows how much He loves Each and every one of us. LOVE thrift stores shopping. and not gonna lie, Missouri's got some good spots! (Note the section we're shopping in. Haha it made me laugh). Also, grandma skirts are my new favorite. Also, the Missouri summer heat has finally hit. Like wow. You walk outside and after two seconds, you are drenched. Humidity is not my favorite thing, but we're getting used to it, slowly. Haha. Last week, we had to teach two lessons outside on the hottest day of the week because we were teaching two different guys and weren't allowed to go inside. (Because there was no other woman home). Sister Hansen and I jinxed each other after the lesson and said how we could feel sweat dripping down our back. Hahaha. That trailer park neighborhood is my favorite. The people are so nice (well mostly.. Ha). I love it though. When you're teaching someone about the gospel and you see them start to get excited about the message we are sharing with them, you forget everything else. My district is seriously the best. So funny that all 4 of us from Building 28 at BYU that got called to Independence ended up serving in the VC together AND all 4 of us live in the Willis house together AND sister Helmbold and I (who were in the same ward) are in a district together and sister Hixon and Moss (who were in the other ward together) are in the other district in our zone. Hahaha still blowing my mind as you can tell haha. Anyways, my district rocks. They are so so fun and such hard workers. I love it. Friday and Saturday we had exchanges, I stayed in our area with Sister Sneed. She is the cutest. I love her. Sunday. My favorite day of the week. I was supposed to give a talk on Sunday, which I was super nervous for. Cause the bishop here assigns your talk on ONE verse of scripture. Which I actually really like a lot, but wow. Definitely hard as the speaker. Haha. Anyways, we walk into church and bishop walks up to me and said they've had a change in plans and asked if I could speak next Sunday. 🙌🙌❤️ definitely an answer to a prayer, because I was really just wanting to enjoy sacrament meeting and knew that'd be a lot harder with the stress of having to talk. Buttttt... Now I gotta give it next week. Anyways, the reason he moved me was because the youth in the stake just got back from youth conference. Which, ps, is like the dream youth conference. They drove all the way out to Palmyra, NY and went to the Sacred Grove and hit all the Church History sites on the way back. SOOO PERFECT. Bishop wanted them to get the opportunity to bear their testimonies. Wow. They are amazing. They are such amazing, powerful, and strong youth. It just happened to be that I brought my journal from when I went on that trip with me to church (because my talk was on Joseph Smith when he was at Carthage). I got the chance to go back and look at some of the stuff I had written. I was so close to losing it after every testimony. The spirit was so strong and it reminded me so much of the feelings I had when I got back from that trip. It changed my life. That is why I am out here on a mission. Ah, I definitely needed that sacrament meeting though. It was perfect. Now to the stuff you all really care about. He he. (one of the) VC Miracle(s) of the week: ok, well two. But they're similar. This family that was moving across the country came in. They weren't members and we asked the, why they came on and we found out their truck broke down right in front of the VC. Hmmm, seem like a coincidence? We got to teach them so much and took them through a few presentations. They loved it. And I love VC miracles. Other one: this guy came in who has apparently been investigating churches for a couple years and told us how he always happened to run into the elders randomly but never really thought anything of it. He walked into the VC. he didn't even know what church owned the building! He was like, well, I guess this does mean something. Haha. Miracles all day, everyday here. One last highlight: I got to talk on the phone with one of the investigators I met in the MTC with Sister Jones. He is so awesome. He's catholic and has been investigating the church for like 2 years now. Heavenly Father has been with him every single step of the way. He is so prepared. AND he went to. Hutch yesterday! I love you all so much. I love hearing about everyone's weeks. Thank you for all the love, support, and prayers. I think about you all constantly. Have a great week everyone! Don't forget to pray and study the scriptures. They are the best cheat sheets we have to this navigating this life. But as for me... "And my house, we will serve the Lord"
Ha. Sorry, #missionarylife though. Just couldn't help it. (smh at myself) We shared that scripture with a Mormon message to the member family that we ate dinner with last night. Go look up "Choose this Day" Mormon message. It's awesome. But first, a short story that will hopefully make you laugh. If any of you remember the video I made for my Fam before I left, you'll remember this little quote from cute little lynds when asked about how being a big sis was..
"I love it!" "Already?" "Yep!" That has been the motto for me these past couple weeks. People ask me how the mission had been and my response it.. I love it! Already! If you haven't seen the vid. Go watch it. Just the part of baby lynds though. Cause she was adorbs and I know she was low key waiting for a shoutout ;) I gotcha sis. And now, the moment you/I've all been waiting for... MIRACLE TUESDAY! So remember last week how I said that our Heavenly Father answers all of our prayers? And how we were already seeing miracles from the mission fast? Yeah, I really had no clue what I was talking about. And still probably don't. Those statements are both still 100% true but on Tuesday, I experienced them like no other. I was having a little bit of a hard time with the whole mission thing and just still getting used to the schedule etc. etc. and that morning, in my prayer, I just poured my heart out to Heavenly Father and I asked for three specific things.. To see a miracle related to missionary work, to find someone who really wanted to learn about the gospel, and to get some personal motivation for myself for this work. And wow. He literally handed both of things to me within 5 hours. One, being within 10 minutes of me and my comp walking out the door. A member called us as we were leaving our house and said she was on her way to the VC with a nonmember following behind her and she was gonna take him through God's Plan and it'd be a good idea for us to be there. She is golden. A cute little old lady from Finland. I'm literally obsessed with her. 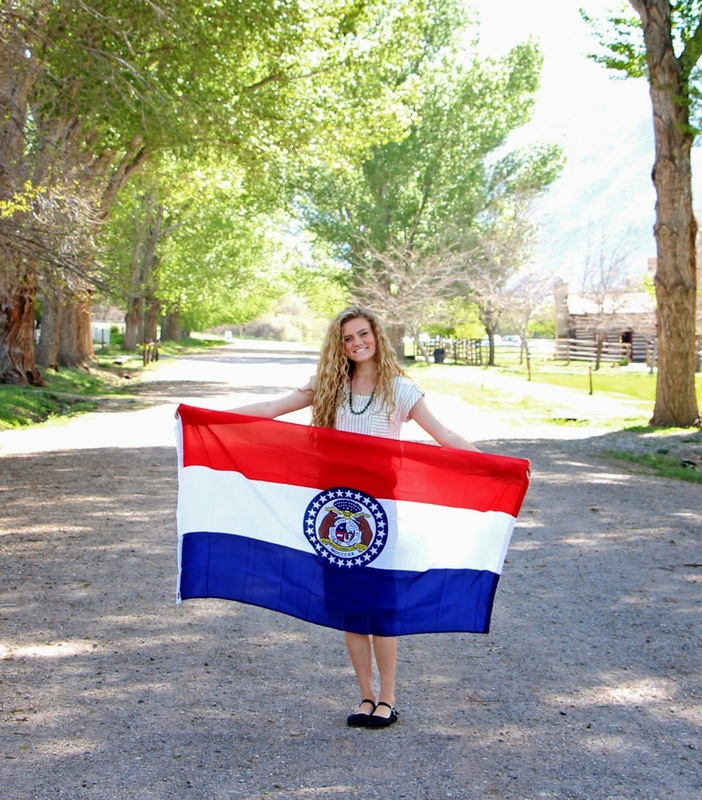 She served a mission when she was younger which would explain why she is the perfect member missionary in our ward. But we got there just as the presentation finished and got to teach her friend all about eternal families and families here on earth and how the Book of Mormon and this gospel blesses families so much. And it was just perfect. And really what I needed. Had an amazing lesson with our investigator. We read 1 Nephi 1 with him and it was just amazing. It was the first time we felt that he was really able to get that personal need for reading the Book of Mormon which was awesome. We were leaving pour investigator's house and we stopped to talk with this guy. And he was super nice but said he was heading out for work so just told him to have a good day and left. (Still on a high from how our lesson went) and then! He pulled up next to us in s truck and said "did I not seem interested enough to hear about what you two had to say?" Like WHAT. #missionarydreams right there. Anyways, he got our number and said he would text us (like ok, cue The Best Two Years mistake right here) BUT, he texted us like 15 minutes later and set up an appointment. So yeah, miracles happen and prayers are answered. The joy that we saw on our investigator's face when we were in the lesson. THAT is why I am here. THAT is my motivation for this work. Seeing how this gospel can bless others is amazing. Hahaha ok fine, so not really. But, we received a referral from Salt Lake for this address on Thursday. They wanted a free bible. So we had been meaning to go over there since then but just barely found the time to go last night. We are looking and looking for the address and we were so confused because there were no houses on this road. Just like businesses. So we started looking at their addresses and we found it! The address was a hotel address! Haha like what! So we were like, well, let's go in anyways. Who knows, maybe the person inside will be wanting to learn about the gospel. We said a prayer before we went in that we'd be able to help whoever we came in contact with in the hotel. Turns out, it was like we thought, the hotel manager was trying to get free copies of the bible for their hotel, which, isn't really our purpose in giving out free bibles. Haha anyways, we kept talking to the front desk lady and got to share with her the plan of salvation, gave her a Book of Mormon, and will hopefully be meeting with her soon. She had never heard of anything like it and seemed interested to learn more about it. Favorite quote from district meeting, "the highs of the high outweigh the lengths of the lows" so true. There are so many highs and lows but it has been amazing to see how the highs really cover up all the low moments and you forget all the people that have yelled at you or the feelings of inadequacy. This gospel is true. The Book of Mormon is true and it changes lives. Read it. As Joseph Smith said so well, "a man would get nearer to God by abiding by its precepts than by any other book". Here's a pic of finding people in the rain! More Miracle stories there too but y'all are probably sick of hearing from me. I love you all, I promise that you can find joy in every day and moment of life through the gospel of Jesus Christ. Because of what He has already done for us. This past week flew by! Like its so crazy that it's already p-day again! Well, I'll go ahead and start with 4th of July. The 4th was so fun. We were on shift at the VC in the morning which was an answer to a prayer in and of itself. (We got asked to switch shifts the night before) I knew that Sister Ewell's youth group from Vegas would be there that morning and was so bummed I wouldn't get to see them. But, turns out, Heavenly Father is not only aware of our needs in this life, but also our wants and desires. I am constantly in awe at the love that He has for each and every one of us. And allowing others to see that love and feel of that love is such an amazing thing to be apart of. I took a try of the 55 youth on a tour of the whole VC. I loved it. I love seeing where I was 5 years ago and hearing how their trip has already changed their life like it did mine. I feel such a connection with them because if it weren't for those three weeks, I would not be on a mission right now. Walking where the prophet walked and learning about the saints in the area is so inspiring and it makes me want to always be striving to be better. It's so cool to be apart of the spirit teaching during tours. Every. Single. History tour is completely different that I take. And obviously not because the history changes each time but because the people that come through change and our Heavenly Father needs each one of them to learn different things. The Spirit is vital in the tours on helping them understand what they are to learn and take away from their visit. My favorite part about the VC life :) I learn something new every single tour. It's the best. So patriotic. It was presh. After our shift, we went to dinner at a member's house and then helped out at the big 4th of July event they had at the city. Our church and the Community of Christ church got together and had a show at their auditorium and then we provided the fireworks outside of the VC at the pageant grounds (also ps, heard a rumor that the stake pres is gonna try to start up the pageant next summer. Fingers crossed) so anyways, the church asked us to usher for the show at their auditorium to kind of put us out in the public so people could see the missionaries. It was fun! The Brett Family (?? Idk. Apparently they're a big deal) from Branson came to do a show. They're super nice! From McKinney, TX originally mom! then, we got to go to sleep listening to the fireworks. Haha. Mission rules still apply on the fourth we found out mom. Haha, so in our homes by 9:30 ha. But it was such a great holiday. And yes, we had our first tornado on Wednesday! And yes, I was freaking out. But hey, we were safe! We were teaching our beloved Rick in the library. He is a new member and wow. Such a rockstar. He has had such a hard life and still is going through a ton of stuff. But he told us that the only thing that has brought him joy in this life has been getting baptized and talking to other people about God. I know right!? He's amazing. We had him team teach gospel principles with the elders on Sunday and it was amazing. He lives with another guy that just got baptized as well, Randy, and they are both awesome. Randy bore his testimony during sacrament and he knows so much. I love it. But anyways, we were teaching Rick at the library when the tornado warning went off so they had us go into the bathroom for shelter for an hourish. And Rick just walked home!! 😱 Crazy! The tornado went like 2 blocks north of where we were. Next... Jason! He is our new investigator as of this week. He rocks. He was a referral from a member in the area. The people here are so humble. They live out of trailer homes and just love life through all the trials they have went through. I can't tell you how many people have told us that they've lost their jobs recently. It's so sad. But all (well most. Haha) love God. Jason definitely does. It was so cool to teach him the Restoration. He takes everything that is said to heart and really thinks about it. Which is awesome! We are teaching him again tonight. Wednesday, we had a mission wide fast to get some inspiration on what we needed to do as a mission. We have already seen so many miracles from it. The Lord is aware of everyone! And especially those who are searching for the truth. -Watch The Hope of God's Light. My favorite Mormon message. Also, we heard about the sad news of President Packer the the other day. I went back and read his talk from October 2014. It is so good. We are praying for his family and the rest of the quorum of the 12 apostles as they are now going through the loss of two apostles. They are both already greatly missed. I love you all so much and think and pray about you all the time!